How and when do I explain all this to my 10 year old? Tell him that this is what we’ve done and that grandad is going to need a lot of help from his generation to try and set it right. The problem, of course, is that there’s no setting this right, is there? It’s simply too late, and I suspect that most of you here, especially Robert, realizes this deep down. Problems can be solved; predicaments can only be endured. And we’re heading into an ecological/climactic storm that is going to be one hell of a predicament. At least the folks who read Robert’s excellent posts won’t be surprised by what’s bearing down on us. Unfortunately Guy McPherson may well be correct. Pray that he’s not. We balance on the edge of a knife. The decisions we make now will echo for ages. Try to improve the odds he exists at all – as most (or many) people will likely die. Then try to provide a strategy to recover in the long run, even if it takes multiple generations to fulfill (it really has to fix the underlying problems in our approach to the world at the same time, or it’s a waste of time). Been working on this (even without a grandchild, and most of the time no child either) for 7 years now – but all this time trying to discuss it with people has been a waste of words in my experience. Frankly, I don’t understand how anyone can look at the evidence of what is happening now, set against the trends – and continue to delude themselves that modern civilisation has any future save violent collapse. Failing to prepare for what is coming is planning to fail, to paraphrase the saying. Great post, as usual. I’d just like to add to your excellent points that a number of exacerbating (‘positive’) feedbacks are or will soon be kicking in here. 1. As the snow melts, in many cases it reveals more and more dark particles. 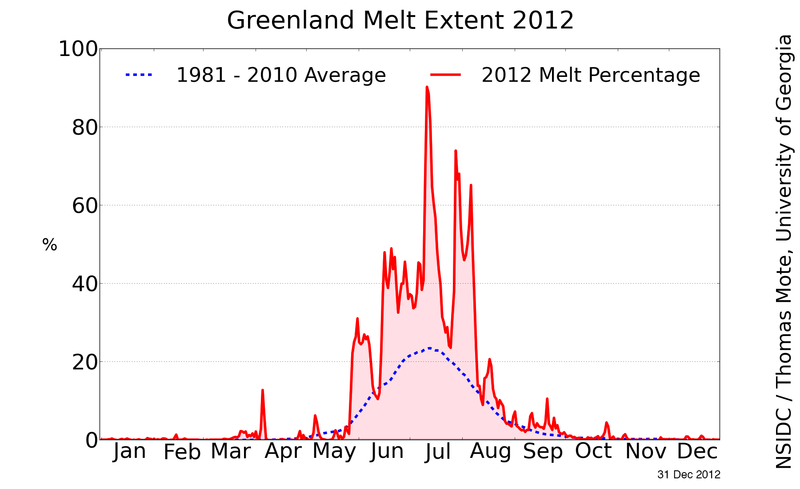 (This is especially clear at the periphery, as shown above, where the melt has been greatest every year). The more melt, the more light-absorbing/heat-emanating dark material is exposed to accelerate the melt even more…This is a very direct feedback. 2. As the ice sheet melts away from the coast, old tundra is uncovered that is full of carbon that is mostly then going to make its way into the atmosphere. This is a less direct feedback. 3. Eventually, the whole ice sheet will start to shrink fast enough that the height of the whole thing will start to reduce, bringing more and more ice to lower and lower, as so warmer and warmer, altitudes, where they will melt yet faster, and so drop yet faster in altitude…This is a fairly direct feedback, but will probably take a while to have a major effect on the highest parts of the ice sheet. There are others, but this is all I have time for right now. Thanks again, and please correct or refine these rough, from-memory ramblings, rs, or anyone knowledgeable about these things. Good points, wili. I often don’t have the space or the time to list all the positive feedbacks as well. The only thing really standing in the way is the negative feedback due to ice sheet melt– ocean surface freshening and the iceberg cooling effect. Smoke aerosol is probably net positive. That said, the negative feedback is rather impressive, so long as it lasts. Geologically speaking, probably very brief considering what we’ve unleashed. One feedback I seldom see mentioned is that as sea level rises it moves the grounding line of ocean terminating glaciers back even further allowing sea water to encroach further than before. It seems like that’s got to speed up those glaciers and melt even more ice. I’ve cited a few reports that mention just this, chiefly during the recent series of glacial demise research coming out late last year and early this year. Definitely worth bringing up. Hansen always warned of the possibility of unknown mechanisms leading to exponential loss, and we seem not to have listened to what Earth’s past indicated was possible. Thanks for posting the pictures Robert – that ice looks like a Swiss cheese, and such visible evidence is vital to put in the public domain. Link not good for which apologies – hope this works better. That’s a pretty rough mechanism. 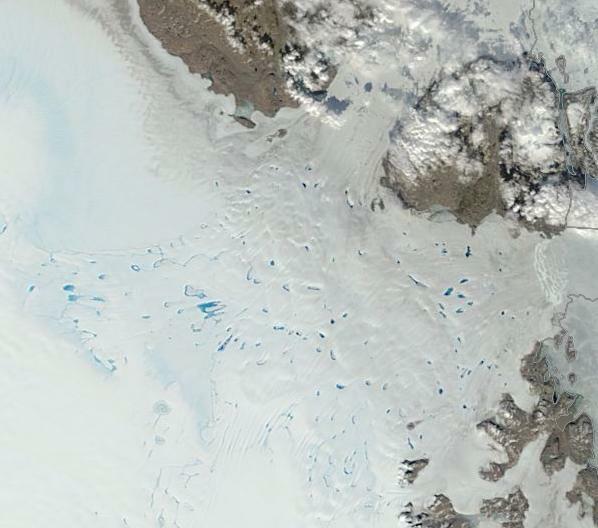 Looks like once the ice sheets get moving, there’s very little to stop them. Forest fire smoke here in N.E. Minnesota was off the charts yesterday! I went out to watch the blazing red sun sink below the green hills. This almost invisible red ball brought back an old memory from watching a sun set in San Diego County during a very bad fire out break back when I was home ported with my ship there. These Alberta fires are a huge distance from here, but I can guess at their size by the thick gray haze, the smell and a sunset just like one in an active fire zone. I talked with an old classmate who now lives in San Diego. He says the California drought has really stuck fear into people, especially real estate developers! Sadly he was a oil company geologist for 30 years, we do not bring up global warming. All of us who live in cold climates with 6 month snow covers, know that when the snow begins to melt it quickly becomes grey and black from exposed dirt particles. I can see how Greenland would suffer the same effect with huge positive feedback resulting! There is quite a lot of material coming out of both the NWT fires and those still ongoing in Russia. Cooler weather over NWT may finally be taking the edge off the fires there. Quite remarkable difference between east and west coast, in darkening terms. Do you think forest fires cause the extra blackening? 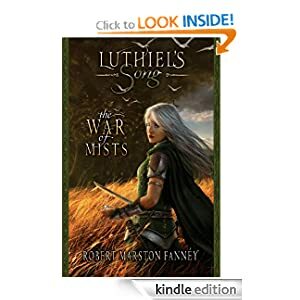 Of course forest fires have, through the ages, affected the west side more than the east side, and now the AGW exposes all this “old soot”, giving a huge positive feedback. Really enjoy your analyses! Thanks a lot! Cheers Lars and thanks for the thoughts! You may well be right. The prevailing wind pattern would favor deposition on the West Coast. That said, the west has also had the strongest surface melt thus far. Warm winds tend to run up from the south in that region and it has received the warmest weather thus far. 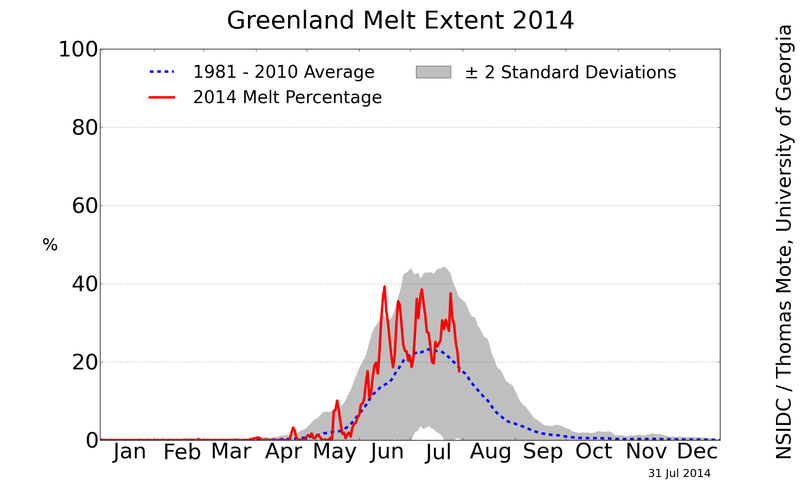 It’s the height of the Arctic melt season — do you know where your ice is? Seems more MSM sources are covering climate change. Thank goodness. Not that it’s enough yet. About a week or two ago you mentioned that wildfires were creeping closer to the Arctic Ocean on the Russian side. 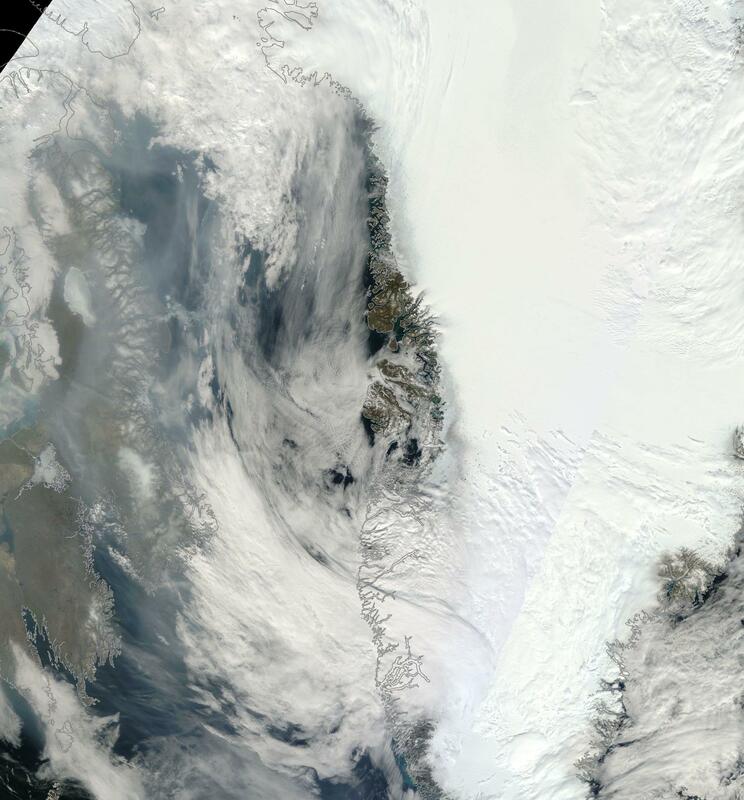 Well, today I have shots of wildfires within 70 miles of Arctic waters. Climate Progress also put together an excellent piece on the methane outburst holes today. Joe Romm outdid himself and it appears the tundra researchers are very worried. We now also have an official range on predicted Arctic carbon release amplification on top of human emissions — a 10% addition (or about 20 times the current Arctic emission) under full/rapid mitigation, and a 30 % addition this century (x60) under BAU. This is a huge and troubling amplification and all the more reason to get ghg under control. In any case, I hope all is well. Best wishes to you! Holes like this one have been appearing in Siberia — at least three are known so far. There are a couple of theories for what’s causing them and both are linked to climate change. Which brings us to the other, fairly awesome, possible explanation. Some observers have noted the presence of smoke and flashes of light in the places where the holes appeared. There’s also been some weirdness in the atmospheric science world with spikes of methane turning up in air over Siberia. That’s leading some scientists to speculate that the holes could be forming when methane from melted permafrost builds up in a space left by a melting pingo — eventually leading to an explosion. I think they’re zeroing in. We’ve been covering this stuff for the better part of 2.5 years. Good to see so much interest now. Off-topic, there is a line of 9 or so lows stretching across the pacific about 10° to 15° North. It’s been there on and off for a few weeks, and has become much more pronounced recently. Is this a normal weather pattern? Or related to ENSO? Or just random variability? 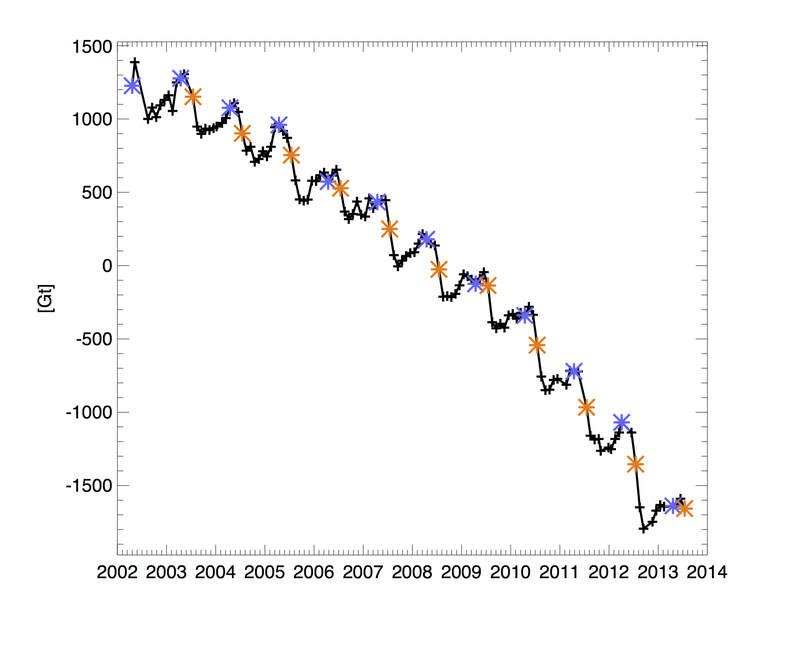 That is an atmospheric feedback to ocean surface warming at the equator. It also is more likely to occur during summer. Been looking at it as well. If it continues, and especially if we start to get lows south of the equator, then the El Niño could well be imminent. No bets yet, but an interesting pattern worth keeping an eye on. Good job, Bill. In this case, I wholeheartedly approve of the f bomb. I was earned. The official denialist explanation for the Mystery Circles in Siberia is in! Pingos is their explanation ( per Watts et al). They state it has nothing to do with methane, nothing, nada, zero. Because of course to do so would invalidate their claim that the temperature is actually dropping world wide. The fact that the methane concentration is 9.7% at the bottom of the hole(s) while the normal methane concentration of air is 0.000179% is not important to these folks. When a pingo deflates there in no ejecta. Nor is there a missing volume of material under where it was on the order of what has been observed. 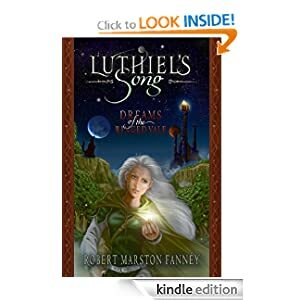 These various facts and laws of physics of course are “in” on the big hush-hush secret plot by the scientists, UN, thermometers, lion fish, trees, glaciers, clouds, insects, Greenland, corals etc… because as we all know, migrating fish love a good conspiracy. The ignoramus-sphere has been doing backflips over this one. All a clear sign of their increasing marginalization in the face of base facts. The tundra explodes and scientists find methane at high enough concentration to burn. Smoking gun. I was surprised at the hostility towards the idea of methane “explosion” at the Arctic Sea Ice forum. Explosion is in quotes because they were focused on whether it actually caught fire and exploded, whereas it is possibly just pressure release. One of the commenters said it was impossible since methane is only flammable at 10% concentration. Now they are measuring 9% even though it’s obviously being vented. Oops. TAIB’s board is actually pretty conservative RE certain issues. Many commenters there have been hostile to the notion of Arctic methane release as a feedback to human warming. I have a suspicion that a few of these guys are sleeper deniers. 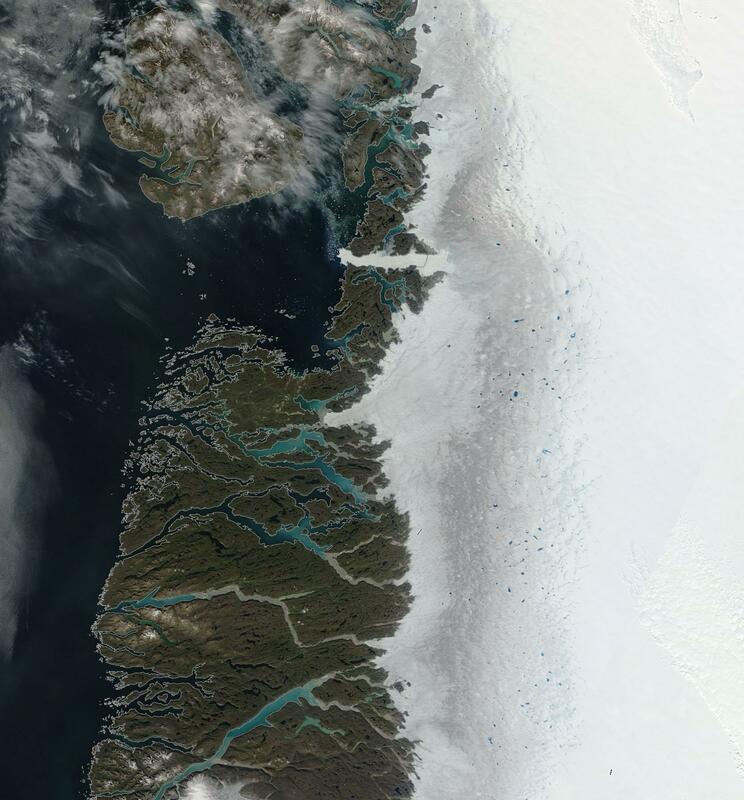 If you look at the ice section, you regularly get people declaring the end of the melt season in late July, or poo, pooing any notion such as upwelling driven surface water warming, the impact of storms on ice during late season, or the impact of surface fresh water as a negative feedback. All this despite growing scientific and direct observational evidence to confirm these forces in action. Why is the y-axis scale on the last chart in your excellent piece going from plus to minus? If it is cumulative, shouldn’t it start at zero and go negative from there? It’s all minus. The graph just gives a midpoint range which makes it look a bit odd. Thank you. Fascinating …. and terrifying. Will reblog this. I have been banned for 2 days at WU . Never forget I am a jackass . Always poking the truth, This is why we are friends. For now, I’m happy with climate change denier lunch! Looks like we have a rather strong hurricane spinning up in the Pacific. They’ve been going north of the Philippines, lately. Damn. Beaufort sea ice looks like it’s in a blender. Weak to moderate storm. One like 2012 crash this ice. A hole has opened up at about 50 N longitude and 75 latitude. That wasn’t there before, right? Yes, and by quite a bit! It was very thin there a week ago. Warm winds and a succession of lows did it in. That Pacific to Atlantic traverse lent energy and we had the warm air invasion on the Russian side fueling the wind/storm pattern as well. 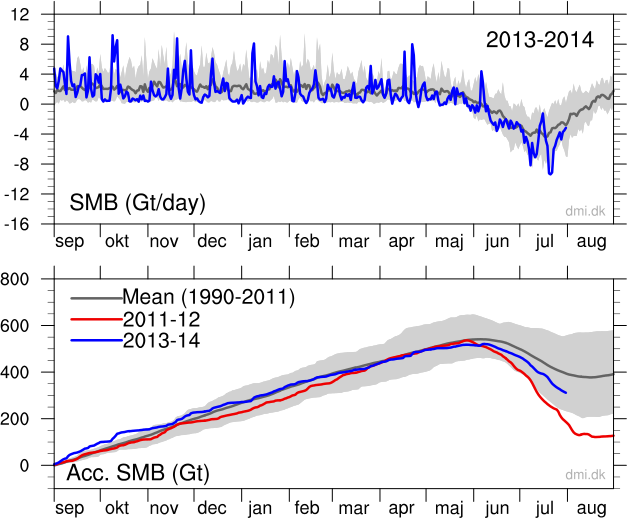 Re: lose of sea ice in the Arctic in 2012, how much of that lose was due to that large Aug./Sept. storm? I think a great deal. The storm shattered ice that would have taken weeks to melt out. It sent 16 foot swells raging through the ice and pulled both smoke and heat into the Central Arctic. Warm waters beneath the surface were dredged up by winds and cyclonic storm action. This created an aftermath in which the melt effect lasted for weeks. Robert, first, thanks for all that you do! Your blogging is unmatched and I am proud that you are a fellow Virginian! 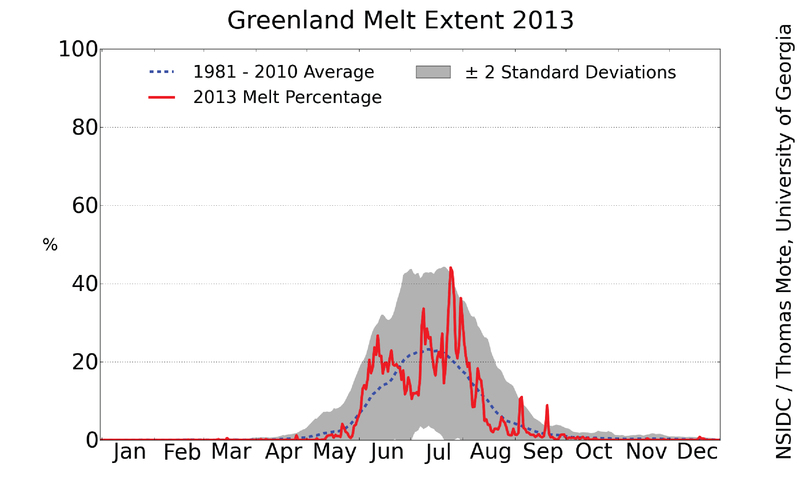 Secondly, I just have to be “Captain Obvious” – the freaking basal melt rate is terrifying! Yeah, the GRACE capture is one that will keep you awake at night. Atmospheric warming is a train wreck. But it ain’t got nothing on ocean warming. And, Dr. Jason Box wants to move to Denmark, lol? ?